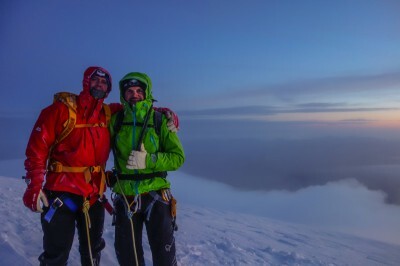 What Equipment To Bring Climbing Mont Blanc? What Equipment To Bring To Climb Mont Blanc? When climbing mountains you want your backpack to be light and organized. If you are new to mountaineering it is good to have a check list of what to bring and what to wear. We suggest the following items to bring for a summer ascent of Mt Blanc. The equipment list applies quite well to most alpine one-day summit climbs, although the actual climbing gear varies. The most common way to climb Mt Blanc in the summers is by spending one night in a hut, not bringing a tent. Then a 35L backpack is a good size to pack in (30-40L is ok). Most of the items you will be wearing all the time anyway. – Warm hat, out of fleece or wool or a combination of both. – Thermal underwear, either wool or synthetics, synthetics usually give you a bit of a dryer feeling and wool smells less. – Warm insulation layer, a fleece or a light down jacket (or both if it is a cold day). – Wind and water proof jacket and pants, out of Goretex or equivalent material. – Two pairs of gloves, for example warm skiing gloves and thinner leather gloves. – A light travel sheet to use in the hut. – Mountaineering boots, which is stiff walking boots that you can fit crampons onto. Leather boots are usually more comfortable than plastic boots. For example Scarpa freney XT or La Sportiva Nepal Top, or what ever brand fits you best. After trying those on a hike a boot-fitter can push them out in certain places if they hurt. Soles made especially for hiking, or custom made soles also helps. – Gaiters, to keep the snow out of your boots. – One alpine ice axe, the length depends on how tall you are. – Crampons, with 12 points preferably and made of steel. The light weight aluminium ones are too soft. – Head lamp, you will probably start walking before sunrise. – Sun glasses for glacier, category 3 or 4 sun protection that are closing well on the sides. – Goggles, is very nice to have if it gets windy, they keep your face warm. – Sun block, factor 30 makes sense. – Water bottle, 2 litres is good to drink a day. – A 50-30m glacier rope (8,5mm) and all necessary crevasse rescue gear. – Compass, GPS and map. By trying out all your things on a few, shorter climbs before going to Mont Blanc you will make sure that you will not turn around because of the wrong equipment/clothing. With all these items most people will be fine, so don not bring a lot more unnecessary weight. 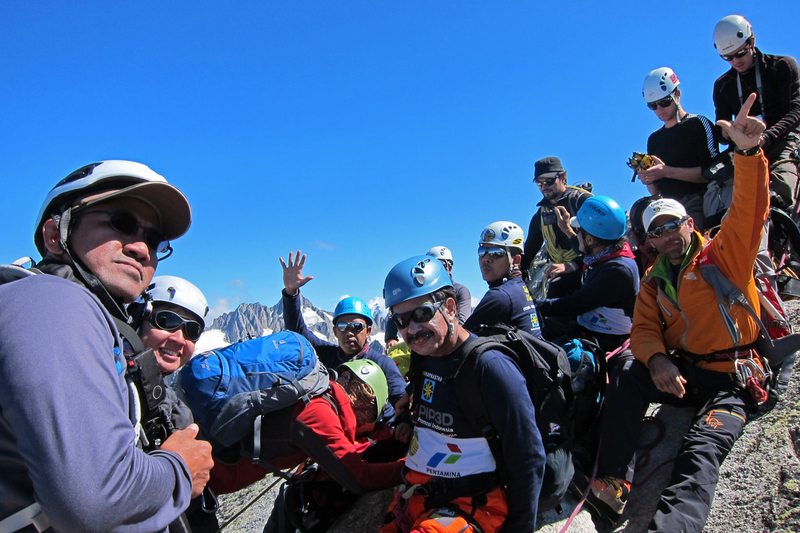 Categories: Mountaineering and Sharing Knowledge. Tags: Chamonix, equipment and Mont Blanc.